There’s a growing trend lately. Maybe it’s because of the influence of Pinterest, but lots of brides are now putting together goodie bags for their out of town guests. 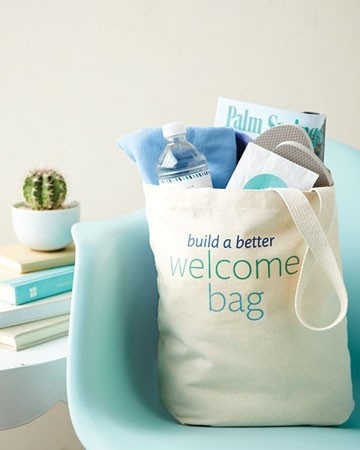 “Hotel bags” or “welcome bags” as they are known (usually given out at the hotel either by the concierge or delivered to each guest room) can carry a wide variety of items depending on your theme, budget and location. But don’t fret-there’s virtually no wrong answers! 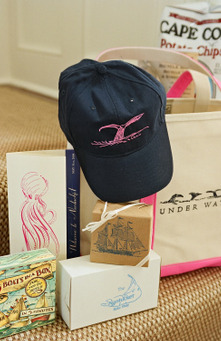 You’ll notice from these photos, as well as ones you have seen elsewhere, that these bags can be completely customized. They can be very formal, or very casual. Kitschy or elegant. Inexpensive or grand. Since of course the $5k Wedding Wednesday is all about budget, I’m going to stick with the simple, budget friendly ideas. You’ll want to pick a variety of useful items that are inexpensive without looking “cheap”. I suggest choosing at least one item from the following five categories: Food, Drink, Information, Useful and Fun. 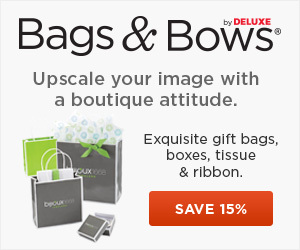 To get the items for your bag, start by selecting the size bag you want to use. That way you will have a starting point when choosing the contents: You know that what you put in must fit in the bag you selected. You can always use decorative filler like tissue or shredded paper to take up some of the empty space if needed. Then choose your items. 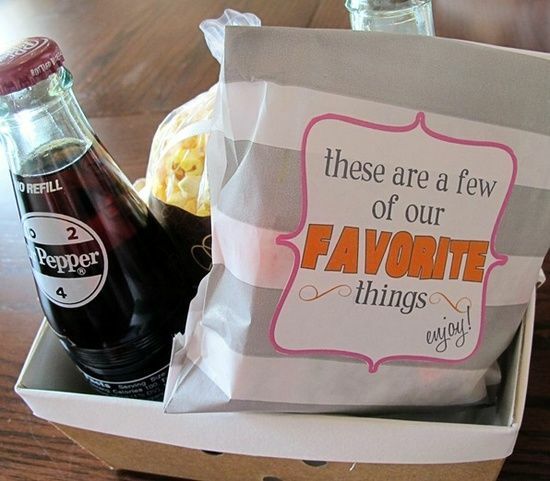 You can pick these items based on the theme of your wedding (Beach, Old Hollywood, Country, etc), based on the location (Boston, NYC, etc) or simply just items you and your fiance enjoy (favorite snacks, etc). Contact numbers for parents of the bride and groom, etc. Remember, you can use coupons to help you get the items for your bags. Don’t feel like you have to go out and buy all your items at once. Pick up a few things here and there as you see them and help spread out the cost. Also important: Make sure you discuss your wishes explicitly with the hotel staff to ensure you are on the same page. Some hotels will hand out your bags at check-in for free, some charge a fee to deliver them directly to each guests room. Make sure they are clear on what you want, and any cost associated. Also follow up with guests after they check in to make sure they received their bags-I have heard stories of hotel staff completely forgetting about the bags! 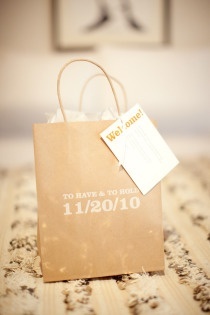 No matter what you decide to put in your bags, your guests will appreciate the gesture and help them feel a little more at home for your special day. It’s a small way to say THANK YOU for the effort and cost of making the trip to see you get married! What other items would you put in your wedding hotel bags? I created bags for my daughter’s wedding. I contacted the chamber of commerce. They gave me many pamphlets of things to do in the area. They also added discounts. Their bags were perfect. I added a large label on the blank side thanking the guests for coming. I also added labels to water bottles and added snacks from the area. Lastly the restaurant near the hotel gave us 40 gift cards to their restaurant that didn’t cost a thing. Just talk to the manager explaining the positive for them. If you plan any outside activities, call the business and they are thrilled to get a large party. Discounts all around. Wow, great advice Pam! Doesn’t hurt to ask around. And you know me, I love a good discount 😉 Thanks for the tips!